at Paramount Studios in Hollywood on June 6, 1991. 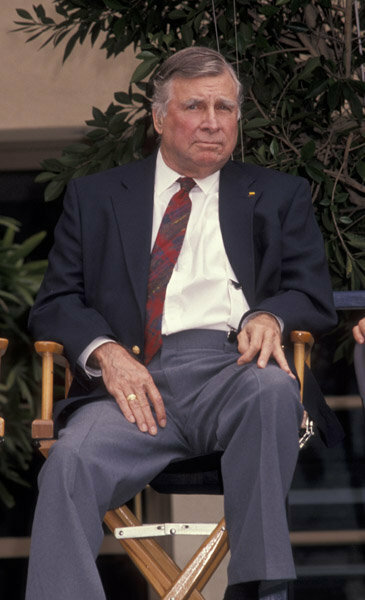 Since his death on October 24, 1991, a half-dozen authorized and unauthorized biographies and tell-all books indicate that Gene Roddenberry was a serial adulterer, somewhat two-faced, and not above claiming credit for all things Star Trek, ignoring the considerable contributions of others who created many of the most iconic elements of the franchise. Indeed, the majority of the more than 700 hours of television episodes and motion pictures with Star Trek in the title were either produced after Roddenberry's death or with little input from him. Paramount "promoted" him to executive consultant of the Trek films after the disaster that was Star Trek: The Motion Picture and handed the actual production responsibility to Harve Bennett, Ralph Winter, Leonard Nimoy, Rick Berman, and others. Consider the Trek-based gizmos that are now commonplace. The communicator (cell phone), the tricorder (smartphone), the prehistoric "bluetooth" earpieces worn by Spock and Uhura- while Roddenberry had final approval, these were all the creations of designer Matt Jeffries, who's virtually unknown outside the Trek universe. To which I say... so what? The fact remains that whenever and wherever Star Trek appears, you'll see the credit "Created by Gene Roddenberry" somewhere. And his creation is one of remarkable cultural influence, far beyond "Beam me up, Scotty" and that great Vulcan pon farr battle music that should, by federal law, accompany all fights at hockey games. Much of the technology we use today was inspired by that kitschy 1960s show with the plywood and styrofoam sets. That's why Roddenberry- and Star Trek- will never fade from our collective consciousness. ...North America, that area bordered to the north by the Arctic Ocean, to the east by the Atlantic Ocean, to the southeast by South America, and to the west and south by the Pacific Ocean. 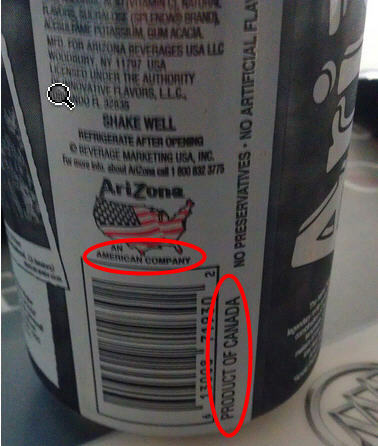 Note we didn't use the word "manufactured" or say The United States of America, so our lawyers say we're covered.